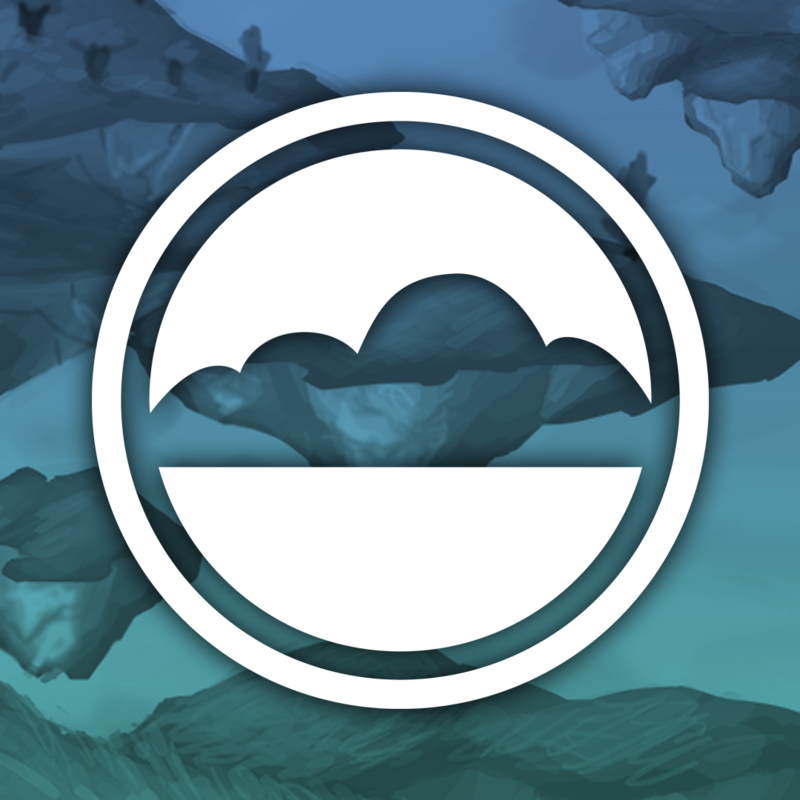 Notice: The Aether: Legacy project has recently been adopted by the Gilded Games team under a new name. You can view the new source code repository here and issue tracker here. Gilded Games presents the original Aether mod! Up to date for modern Minecraft versions and fully compatible with multiplayer! The Aether is a dimension high in the sky comprised of floating islands! Ascend through a Glowstone portal and begin a new survival adventure packed with new ores, mythical creatures and perilous Dungeons! All you need to do is build a Glowstone frame and add water to light the mystical portal, step in and you'll be transported immediately to the luscious hostile paradise known as the Aether! Gilded Games has ensured to keep The Aether as close to the original mod from 2011 as possible, while continuing to work on the sequel, Aether II. Without your help on Patreon, making the Aether wouldn't have been possible. Please consider pledging to help fund development! Every pledge goes directly towards development and enables us to continue doing what we love most. This availability of the Aether for modern versions of Minecraft would not have been possible without the contributions of the following users. Since i use the 1.4.4 version of this mod, the sheepuffs not throw mutton, when i kill them. They don't drop nothing, just XP. The same problem from The Cactus mod the cactus sheep not drop nothing, just XP, because of this mod 1.4.4 buggy on that way, somehow blocking the sheeps' drops. But the original Minecraft sheep drop well everything, when i kill them. I know it, because when i tested them with 1.4.3 again, the sheepuff dropped again muttons, when i killed them. But the cactus sheep didn't drop nothing with 1.4.3 either, maybe the 1.4.3 is buggy on that way a bit too. I checked the cactus sheep's lootables in the mod, the cactus sheep surely have drops too. Please fix it in the next 1.12.2 version! Thank you. Since i discovered when we killed the sheepuffs after shear, only then they drop 1-2 mutton, but when we kill them without shearing with their wool, they don't drop nothing, just XP. Maybe then it's not a bug, it's with purpose. I really suggest they have chance they drop 1-2 wool, when we kill them, if they are not sheared, they are in their wool. The original sheeps drop wool too, when we kill them, when they are not sheared. This issue was found and has been fixed, it will be in the next patch. For the time being if you want to have those fixes, you can use the latest Jenkins builds. I just really want to say thank you for making this mod. I'm not here to say that there is a bug or anything, because i'm just wanting to say thank you for keeping legacy active. It means a lot to me. I understand the work you've put into keeping this mod up-to-date with current Minecraft. I can't stop saying thank you for keeping such a beautiful and well-known mod alive for all of these years. Hope an update for the pre-release comes out soon. Sure will, it is almost ready. Will the pre-release update be on 1.7.10? Haha it is already on 1.7.10, MrMinecraft is talking about the Aether on the 1.14 Pre-Releases. When will the mod be available for 1.13.2? Is there any change that we will ever see a config option to enable Baubles Compat, so we can then use the Baubles menu instead of the Aether menu? Many people want Baubles support with Aether Legacy and it is something we are looking into. An issue I believe is that Baubles has 1 single ring slot as we have two of them, and I also believe they don't have all the slots for Aether Legacy items but I am sure we could figure something out with that. And Baubles does in fact have two ring slots, at least on 1.12. So that issue is solved. I think the only issue that Baubles has 7 slots vs Aether's 8. The Ring, Charm and Amulet slots are the same for both mods. Baubles has no Cape slot but it could easily use the body slot like Botania's cloaks do. Gloves can kinda go wherever. But that would leave us with two misc items and a shield. I think the best option would be to either make players only able to use one "Misc" slot in Bauble mode or players use the Aether Shield slot when in Bauble mode. Or maybe make it work from the vanilla shield slot. Actually, that last one kinda makes sense but it might be too much effort. Is there any plans to update the mod with new content? I have played the original long ago and I want to see a lot more if possible.